Every child needs a champion, and every educator needs a cheerleader! 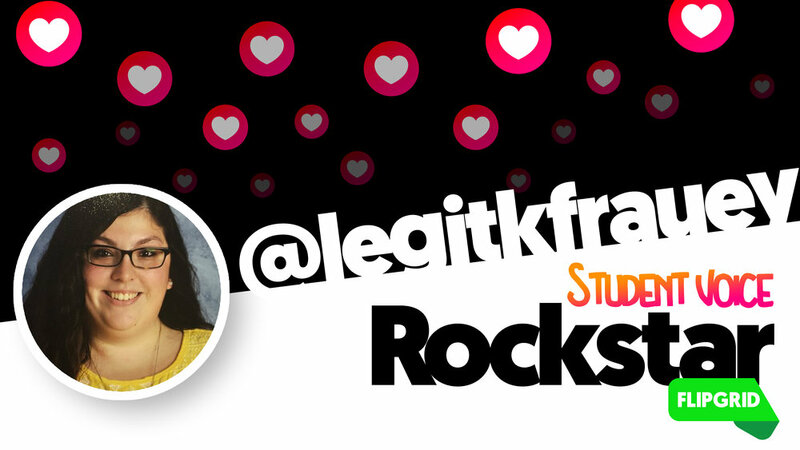 Karie Frauenhoffer, a 7th Grade ELA & Personalized Learning Lead Teacher, from Kernersville, North Carolina, cheers, uplifts, and amplifies educators around the world. She discovered Flipgrid in April 2017 and has been a leader in the #FlipgridFever community as a Flipgrid Certified Educator, Student Voice Ambassador, and #GridGuide! In May 2018, we had the pleasure of meeting during the first Flipgrid Bus Tour. Her excitement, energy, and passion for creating unique experiences for her students is evident in the quest to learn and share with fellow educators. â­�ï¸�MAGNIFICENT â­�ï¸� is the one word that enters Karieâ€™s mind when she thinks of Flipgrid. We feel the same way about Karie!